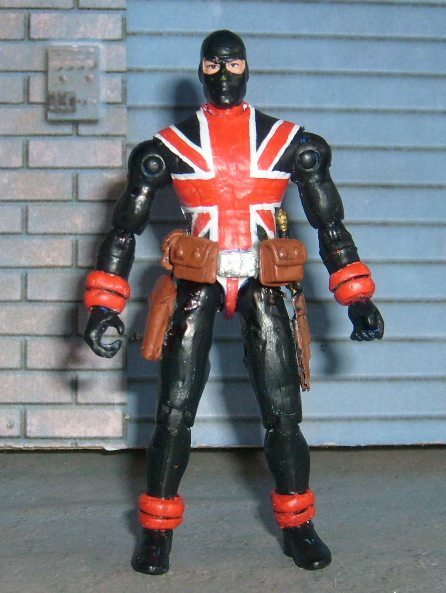 After finishing up my V2 Captain Britain and waiting for parts to arrive to make some more customs, I was casting around for a character to make. 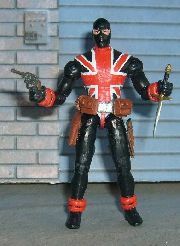 Then I remembered that Dark Horse had asked me if I was going to make Union Jack to go with my original Captain Britain figure. Did a bit of digging around, and thought the Depth Charge body would be perfect. A bit more digging for parts and I found a Beachhead head that fit straight into the body without any modification needed. The most difficult part was the painting.